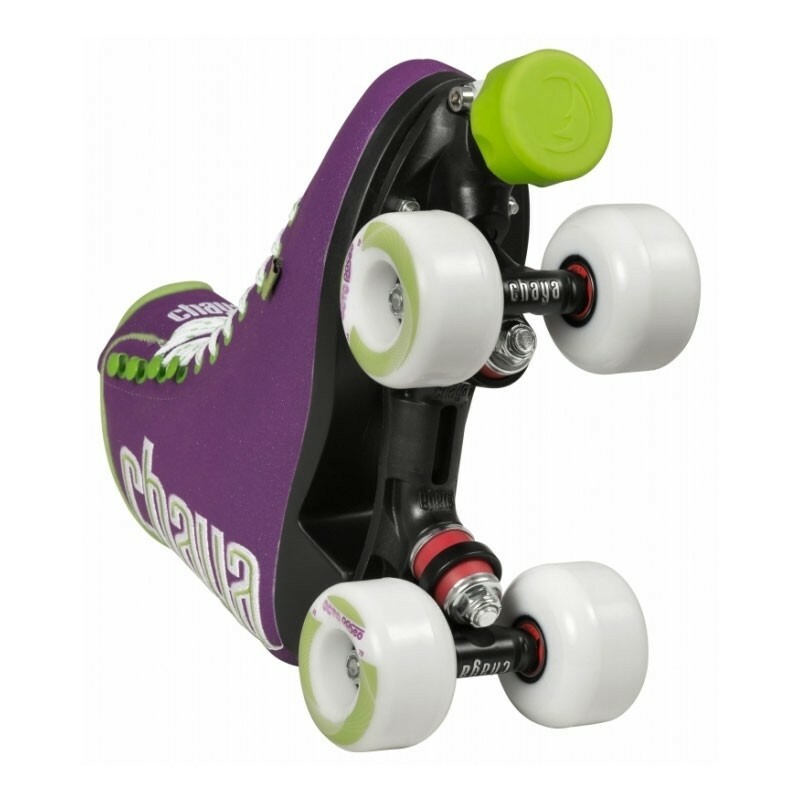 With the CHAYA Elite Grape Soda roller skate, fashion truly meets comfort and performance. This skate propels you back in time to 1970's California and the heart of the roller skating movement. This fun and vibrant peach embroidered boot coupled with high quality components will have you longing for the summer. 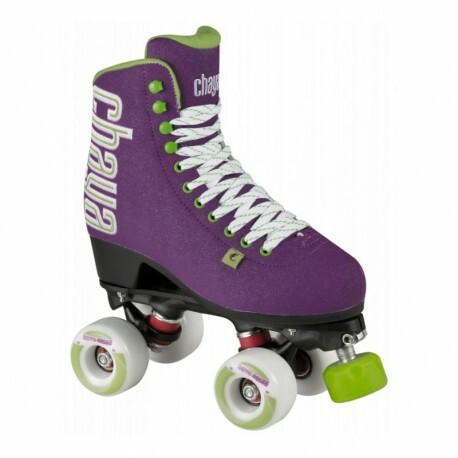 The Chaya Melrose Elite benefits from a padded high cut boot for superior comfort, our high performance Shari plate, Octo Paseo wheels, Wicked ABEC 7 bearings and our much loved Controller toe stop. This combination makes for an extra smooth, extremely comfortable and very responsive ride. 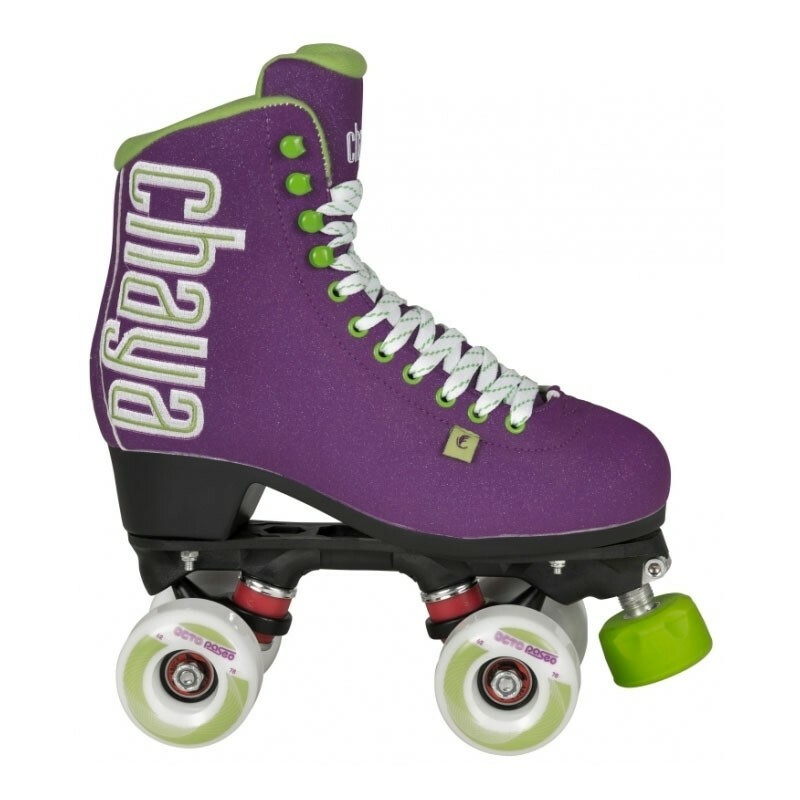 This is THE roller skate for long summer days cruising at the beach with friends and for dancing late into the night.